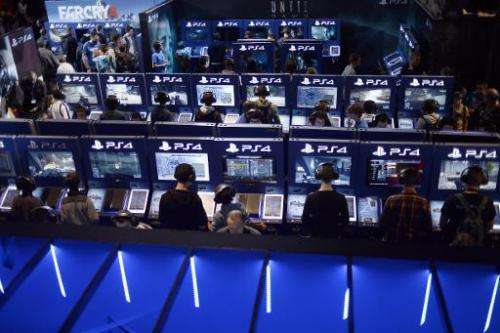 Japanese gaming giant Sony said Thursday it will delay the launch of its PlayStation consoles in China, originally scheduled for Sunday, but gave no specific reason. China last year authorised the domestic sale of game consoles through its first free-trade zone (FTZ) in Shanghai, ending a ban originally instituted in 2000 due to worries over content. Sony rival Microsoft was the first foreign company to enter China's potentially vast game market after the lifting of the ban, launching its Xbox One console in September. "The official launch of PlayStation 4... will be delayed due to various reasons," two of Sony's joint ventures in China said in a joint statement. "The specific product launch date will be given in a separate notice," the statement said, adding that pre-sales of products will be suspended with immediate effect. The delay includes the flagship PlayStation 4, hand-held game console PlayStation Vita, accessories and gaming software, it said. Sony said late last year it planned to offer the latest PlayStation 4 in China priced at 2,899 yuan ($465). PlayStation Vita will also be available with a price tag of 1,299 yuan, it has said. China imposes strict controls on materials it deems to be obscene, violent or politically sensitive, and under the rules of the FTZ games must pass inspection by cultural authorities. Sony plans to offer such games as "Little Big Planet 3" and "Final Fantasy", as well as a few titles from Chinese developers. Game content had been submitted to related authorities for approval, the company has said, but it is unclear if the review process had caused the delay.